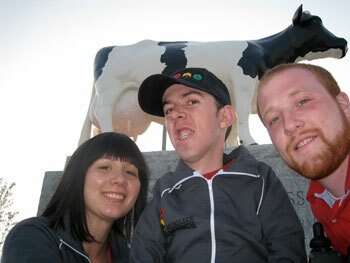 In the summer of 2004, Jeff Preston was hired by the London Branch of Easter Seals Ontario to develop the Speak Out! Self Advocacy Program (SOSAT). Funded by the Labatt People in Action program, SOSAT hoped to train youth with disabilities how to become successful self-advocates. It was during his time developing SOSAT that Jeff began to realize that there is a much larger problem then a lack of self-advocacy; there was a lack of coalition building within the local disabled community. While there were lots of people working on disability issues, many of the advocate communities that existed were either entirely composed of able-bodied advocates, fighting to defend the rights of the disabled, or disabled individuals, arguing that they do not need the able-bodied population to help fight their battles. It was this schism that lead to Jeff launching getmobilized.ca in the spring of 2005 as a project entitled “Mobilize! !” for the class MPI391: Alternative Media at the University of Western Ontario. Mobilize!! was a website, with roots in the blogging community, that allowed both able-bodied and disabled activists to learn about issues facing the disabled community (in the form of articles and essays) along with giving activists the opportunity to discuss these issues with the hope of developing strategies to rectify these problems. As the years went by, Mobilize!! continued to evolve, largely due to the growing popularity of blogging. Building upon its grassroots origin, Mobilize!! 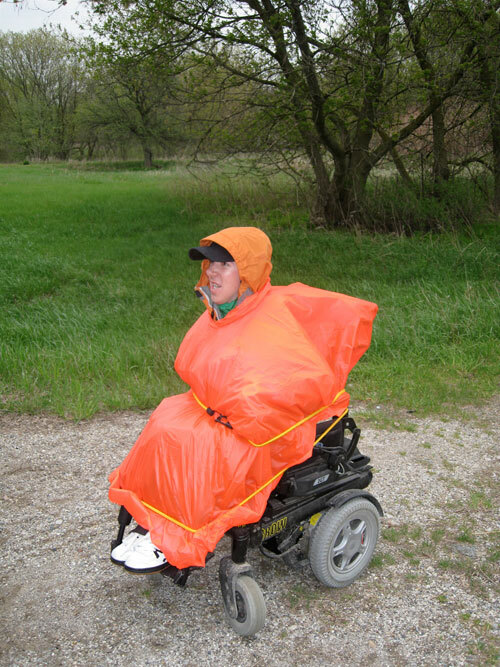 transitioned into Jeff’s personal disability rights blog, where he wrote articles about issues facing the local disability community and used the site as a platform to launch several advocacy initiatives. Most notably, Mobilize!! was the online hub for actions to bring fully accessible vans to the University of Western Ontario and to counter a discriminatory commercial produced by Mothers Against Drunk Drivers. Frustrated while waiting for a late cab, Jeff and some friends began joking around about how an individual with a physical disability would make a long trip, say to the nation’s capital, when crossing the London was proving nearly impossible. Eventually someone suggested “Well, you could drive your chair there, right?” After a good laugh and once again driving himself home, as the ride never arrived, Jeff wondered if it really would be possible to drive his chair from London to Ottawa. 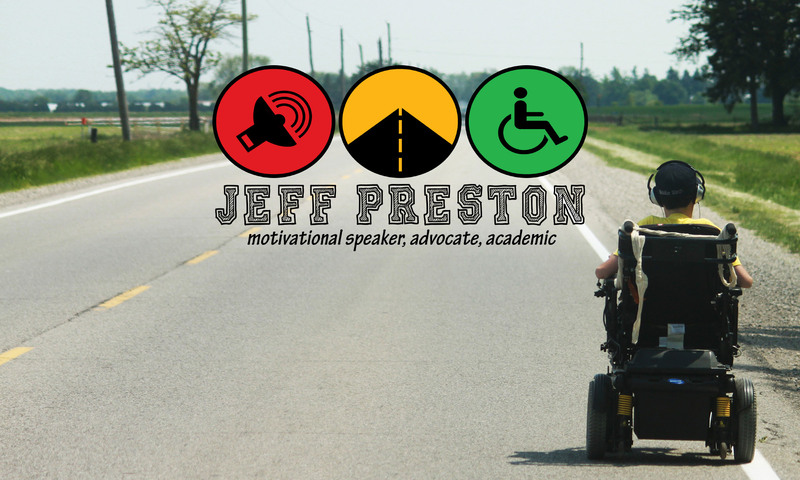 What started as a joke amongst friends grew to become the Mobilize March, taking Jeff across the province in a quest to educate and empower our communities to overcome the transportation barriers currently facing the disabled population. Calculating that his chair could travel approximately 25km per battery charge, the Mobilize March team plotted a route across Ontario that would allow Jeff to hop from city to city, stopping every 60-70km to speak with members of the municipal and provincial government while providing time to rest and charging his batteries (literally and figuratively). With some major sponsorship and tons of support from the community, Jeff set off from London City Hall on a sunny May 5th morning. In total, the trip took 47 days, 15 of which were spent driving from city to city, and was unlike anything Jeff had ever experienced before. Fighting through a sore shoulder, the heat, the cold, and a pile of rain, Jeff arrived in Ottawa safe and sound. As a result of the trip, Jeff was asked to sit as an adviser on the Accessibility Standards Advisory Committee by the Honourable Madeleine Meilleur, Minister of Community and Social Services, where he currently offers insight on the development of accessibility standards being produced by the Ontario Government under the Accessibility for Ontarians with Disabilities Act (2005) and the London Accessibility Advisory Committee, who advise the Municipal Government on accessibility in London. To learn more about the trip, you can check the original Mobilize March website, or feel free to read the Mobilize March travel blog, with daily posts made by Jeff chronicling the journal.